Linkin Park have announced dates for a North American tour in support of their forthcoming album, "One More Light." The trek – with Machine Gun Kelly – will begin its opening leg at the Xfinity Center in Boston, MA on July 27, with shows running into early September before resuming in Seattle, WA on October 14. Japanese rockers One OK Rock will join the tour for stops in Boston, Philadelphia, and Uncasville. 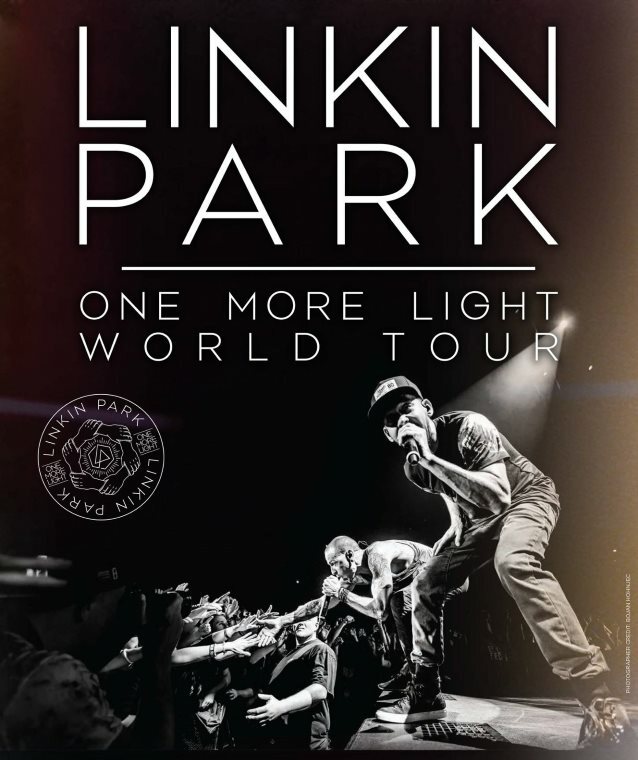 Pre-sale begins May 9; fans and LPU members can register for the tour pre-sale now at presale.linkinpark.com. General public tickets will be available May 12. 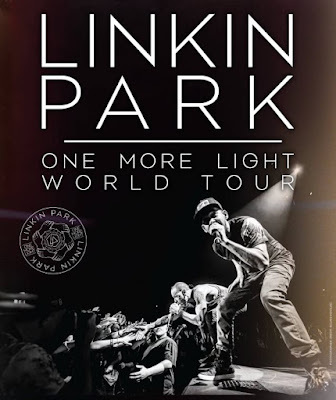 Due May 19, “One More Light” has been previewed with the lead single, “Heavy” ft. Kiiara, “Battle Symphony” and “Good Goodbye” featuring Pusha T and Stormzy. "Our fans know how much love we put into our live show," says guitarist Brad Delson. "They know how much we enjoy the connection when we play a fan favorite on stage. The emotional and sonic content of this new batch of songs is going to bring a whole new dimension to the show." New York and Pennsylvania shows will be announced at a later date.